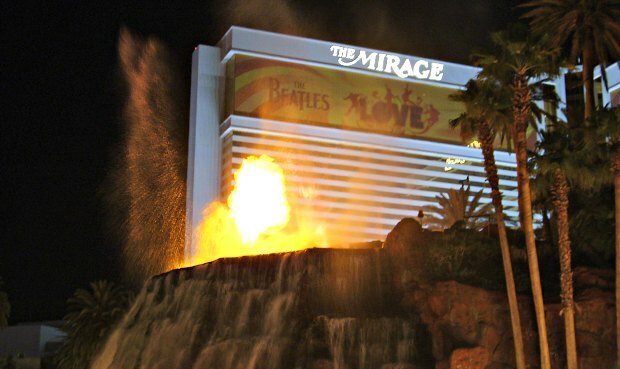 The Mirage Hotel & Casino in Las Vegas has a large fake volcano on the front lawn which erupts at night. The show includes fire, water and light and although it only lasts about 5 minutes, it’s worth stopping by on the hour from 8pm to see it. The other attraction we’d recommend here is tucked away at the back of the hotel. That’s where you’ll find Siegfried & Roy’s Secret Garden & Dolphin Habitat which is home to a range of exotic animals. To be honest, we thought the big cat cages were on the small side, but it was the dolphins that we will remember for a long time to come. It’s a great place to see dolphins just behaving naturally and while we were there, they had a fantastic time chasing each other and jumping of their own accord for the crowds. They are not ‘performing’ animals and don’t do shows. However, they are active for most of the day as the trainers interact with them. We’ve also tried out and would recommend the “Trainer for a Day” experience, which has to be booked well in advance. Visiting the Secret Garden and Dolphin Habitat costs $22 for adults (2016 prices) and it’s open 11am to 5.30pm weekdays and 10am to 5.30pm weekends and holidays. You can get free entry with the Las Vegas Power Pass. 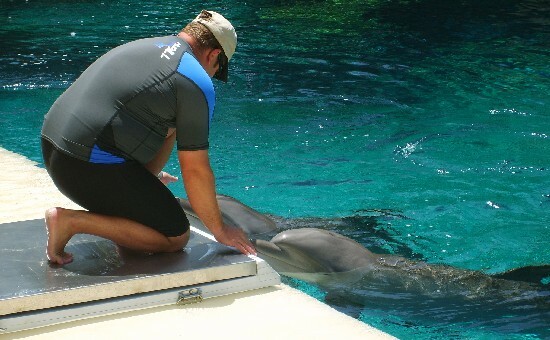 The “Trainer for a Day” experience is very expensive (starting at $495 in 2016), but you do get top spend quite a bit of time in the water with the dolphins. Whilst you’re at the Mirage, check out the huge aquarium behind the front desk – it’s 53 feet long and crammed with vibrant coloured salt water fish. At last count the hotel says there are almost 1000 of them!Also take a quick stroll through the indoor atrium which is supposed to represent a lush indoor rain forest (pictured above). 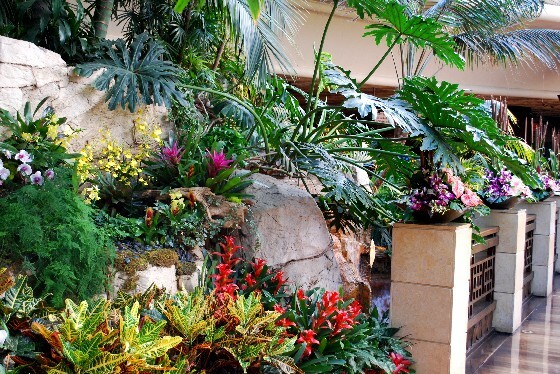 It’s all placed under a glass dome and has palm trees and tropical flower arrangements which are looked after by 4 full time gardeners. Both the aquarium and the atrium are free to visit. The Mirage Hotel complex is on the Las Vegas strip, opposite The Venetian.